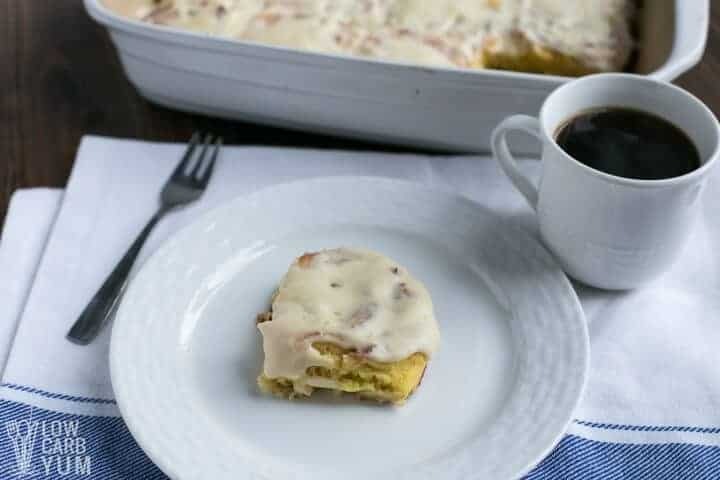 It’s simple to make keto cinnamon rolls using coconut flour fathead dough. Serve them warm with melted cream cheese icing on top. They are a heavenly treat any time of day. I attended a blogger conference in California recently. And, I have to say that the food, particularly at the farewell dinner, was quite tempting. Although I did pretty good, I decided to sample some of the bite sized desserts. It’s rare that I eat actual sugar, but I wanted to see how the texture was so I could try to mimic a low carb version. Well, just those few bites initiated some sweet cravings. So, I decided to work on a recipe for keto cinnamon rolls using the fathead dough from my low carb bagels. I actually made some low carb cinnamon rolls a couple years ago. But, I wasn’t satisfied with the texture of the pastry so I never posted them. I probably still have the photos somewhere. The idea to use my coconut flour fathead dough came from a reader who shared that she had made some delicious cinnamon swirl rolls using it. She also mentioned topping them with cream cheese icing. Although you can add in pecans to the filling and topping, I chose to keep the rolls nut-free. Because of the fathead dough, there’s no way to make it dairy-free so I went all out by including a sweet cream cheese topping. My low carb sweetener of choice these days is Lakanto. So, I used their white sweetener, brown sweetener, and powdered sweetener in this keto cinnamon rolls recipe. The Lakanto powdered sweetener is twice as sweet as regular low carb powdered sweetener. So, the one pound bag lasts over twice as long as a 12 ounce bag of powdered Swerve. I also prefer the taste of monk fruit over the fiber sweetener used in Swerve. Sometimes, I’ll use a bulk Lakanto sweetener along with concentrated stevia. It helps round out the sweet taste. Another reason I like to add a concentrated sweetener to bulk sweeteners is to save money. I find the concentrated sweeteners are more economical as you get tons of servings in a little bottle or container. However, I used only the bulk sweeteners in these keto cinnamon rolls. You could probably use the concentrated vanilla monk fruit sweetener in the dough. In fact, adding a splash of vanilla to the coconut flour fathead dough would likely enhance the taste. I’m going to add that in as an option. I was pretty impressed with how these keto cinnamon rolls turned out. The dough was light and fluffy and it had just the right amount of sweetness. If you are used to those super sugary rolls, you may want to up the sweetener. 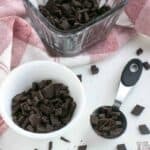 You can certainly add in just enough liquid sweetener to your preferred sweetness. And, if you want something gooey, there’s always the option to add in some sugar free maple syrup or a fiber syrup. 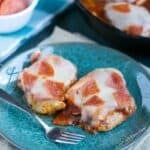 I like things more on the savory side, so I was light on the low carb sweeteners. Personally, I don’t think it’s a good idea to eat too many sweets no matter what eating plan you follow. They tend to trigger hunger that causes people to overeat. It’s certainly the case with me. When I eat a lot of low carb treats, I tend to go overboard. So, I’ve cut way back on the number of sweet recipes. 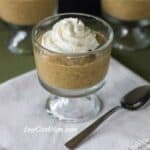 I know a lot of people need the dessert recipes when first starting out. That’s why I’m going to try to add more of those recipes in, even though I try not to eat them. 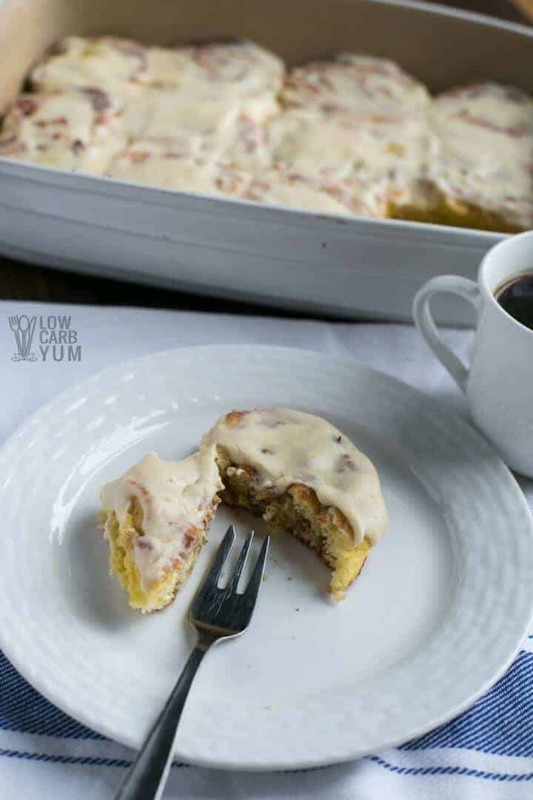 There are plenty of family and friends who will eat the low carb goodies like these keto cinnamon rolls. So, I’ll be giving out a lot more sweet foods that I’d rather not eat. But, it’s nice to indulge in a treat every so often. 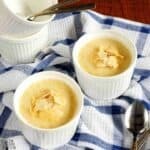 So, I’m glad to have a good collection of low carb desserts that I can make when needed. 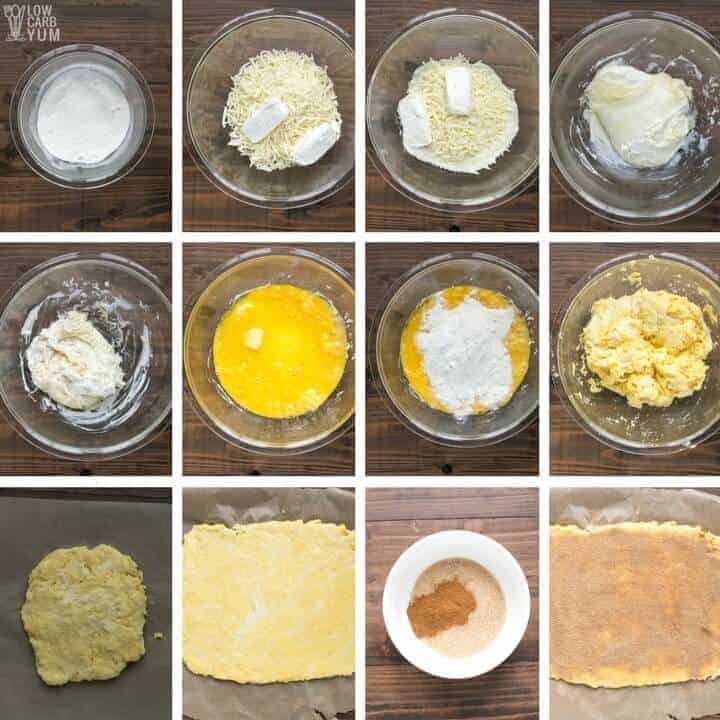 Since the coconut flour fathead dough worked so well in this recipe, I’m thinking of trying the pork rind keto bread in a sweet recipe. I know it sounds gross, but there are some sweet low carb cereal recipes using pork rinds. 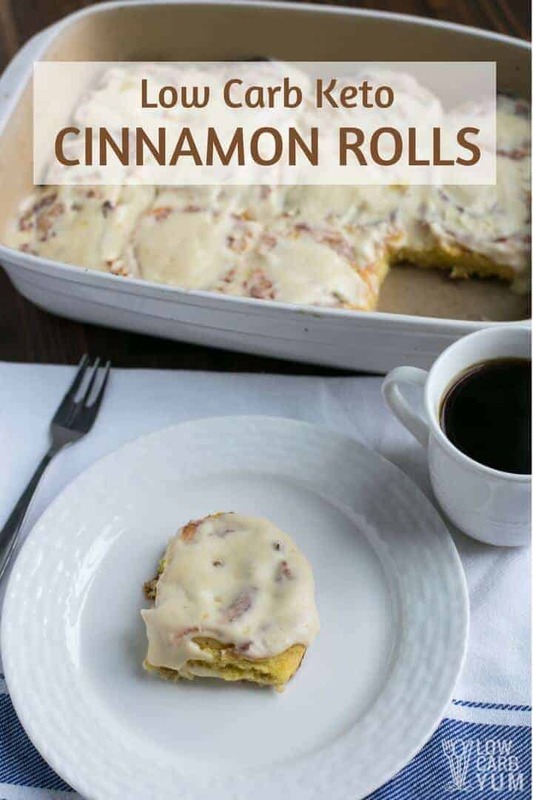 A keto cinnamon rolls recipe doesn’t sound very appetizing when adding pork rinds to the dough. But, you never know until you try, right? I’m hoping to have a lot more time for recipe development next month. I’ve been keeping this website going while holding on to a full-time engineering job. But, I plan to leave that job in a few weeks. These rolls are great for a grab and go breakfast in the morning. I do recommend reheating them in the microwave for about 40 seconds as they are much better warm. 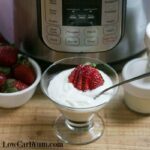 You can see some other keto breakfast ideas like keto smoothies on my Community Table posts. And, if you’re into sweet morning treats, you can check out my chocolate iced low carb donuts with coconut. 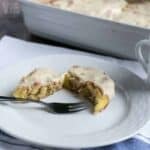 It's simple to make low carb cinnamon rolls using coconut flour fathead dough. 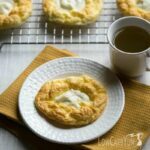 Serve them warm with melted cream cheese icing on top. They are a heavenly treat any time of day. Preheat oven to 400°F and grease a 9x13-inch pan baking pan if needed. Mix coconut flour, low carb sweetener, and baking powder in a small bowl. Set aside. 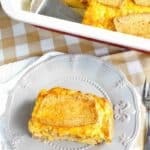 Melt mozzarella cheese and cream cheese in microwave on high power for one minute. Stir. Place back in microwave on high for another minute. Stir. Add in beaten eggs, butter, vanilla extract (if using), and coconut flour mixture until a dough is formed. Dough should be a bit wet and sticky. If dry, try adding in another egg or more butter. Roll dough out into a rectangle about 9x12 inches. In small bowl, combine the brown low carb sweetener with cinnamon. Spread butter evenly over the dough then sprinkle the cinnamon mix on top. 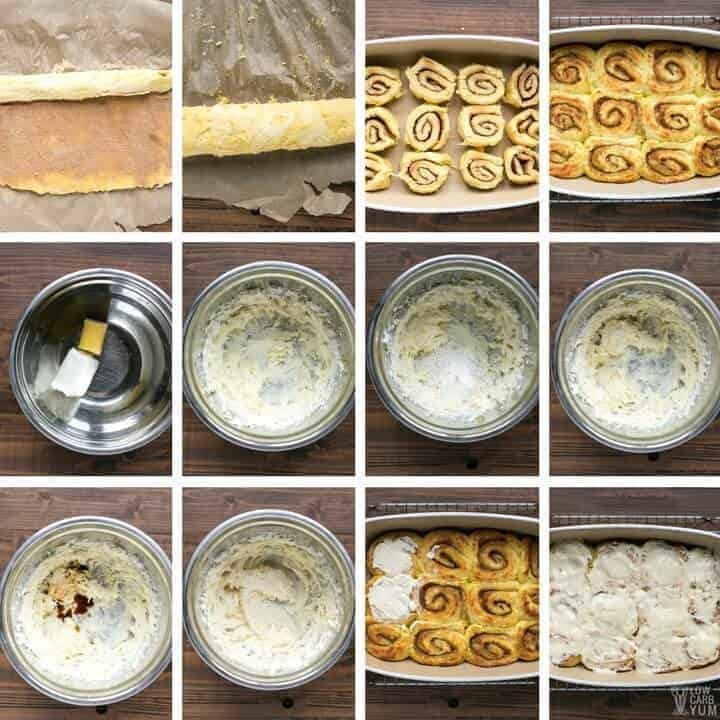 Roll dough into a log starting at one of the shorter ends. Slice into 1-inch thick rounds. Rounds into prepared baking pan. Bake at 400°F for about 14-16 minutes or until lightly browned. Allow to cool slightly on a wire rack. In a medium mixing bowl, cream the cream cheese and butter with an electric mixer. Beat in the powdered sweetener and vanilla extract. Add in a little low carb milk (coconut or almond) if needed to thin the icing. Pecans can be added to the cinnamon mixture if desired.